Chengdu Okay Plant & Chemical Co., Ltd. is a specialty high-tech enterprise, which is engaged in specially separation, purification of the effective components of natural plants. It extracted from plants are used extensively in the American and European market of curatorial raw material, cosmetic and health products. Taking advantage of abundant natural resources of our west and the profession experiences in plant extraction for several decades, Okay established a standardized plant extraction production factory in the suburban county and raw materials base. 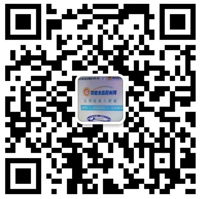 Additionally, Okay owns perfect quality assurance system, which is equipped with professional testing instruments and quality inspection persons. From materials purchase to sending the products out of warehouse, all operation procedures are inspected and controlled strictly, therefore the product quality is under a strong guarantee. Okay employees would like to establish cooperative relationships with you by our professional devotion and good products.